Read more about Gwen's 25 year history in the fitness industry as an entrepreneur, business owner, massage therapist, yoga school owner, curriculum writer, speaker, yoga coach, author, and video producer. Players tell her everyday how it is the hardest workout they have ever done, and how they wish they started this as youth athletes. She has a unique ability to read bodies. She position my athletes and analyze them for imbalances and symmetry that inevitably (UN addressed) will lead to injury. Symmetry problems are like never rotating the tires on your car and driving and driving on the balding tire until it blows! The first time Gwen saw Alex Rodriguez she instantly noticed that his torso was torqued to the right. She tested his eye dominance to find he was right eye dominant. She realized he was at a disadvantage. She had to bring Alex back to center and open his neck rotation as much as possible. This is to give him the best view of his pitcher and the least effort. Plaxico Buress has been suffering with the right ankle problem now for the whole season and it is Power yoga for sports 101 that right ankle problem without addressing symmetry WILL lead to left knee stuff next and it already has. Gwen has helped people across the country, and beyond (Thailand). To Gwen Lawrence, it’s all about preventing injury in the first place and enhancing performance thereafter. Help people to increase their awareness in and of the world. Help create a positive global impact Attentiveness of who and what they surround themselves with. Ridding the negative to create the lives they always dreamed of. Incorporating : Balance, Strength, Flexibility, Breath, Visualization, Mental training. To help achieve their health goals. Use a Holistic approach to training the body and mind to achieve greatness. To help achieve their health goals. Use a Holistic approach to training the body and mind to achieve greatness. Gwen Lawrence has been a massage therapist for 20+ years and a practicing fitness professional since 1990. 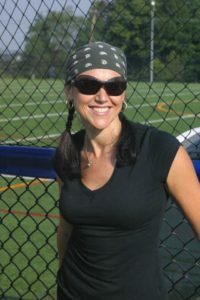 Gwen’s unique combination of dance, massage and yoga training experience, coupled with her extensive knowledge of anatomy and nutrition provide her clients and athletes with overwhelming benefits. 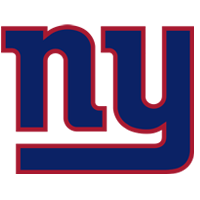 Gwen spent 20 years (18 seasons) with the NY Giants and continues her work with many other NY based pro and D1 athletic teams. Gwen developed the Power Yoga for Sports program™ over a decade ago, and it was named Best Sports Medicine Innovation by ESPN Magazine. She has trained teachers in 28 states and internationally as well. The teachers that take her training to the next level are the E-PYFS or EM-PYFS Elite Trainers and Coaches. 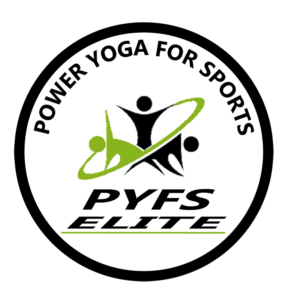 The PYFS Elite training is comprised of 3 training modules, to find out how to become an Elite grad, go here. For a complete list of E-PYFS instructors by state, read more here.